It is always important to get a good night’s rest; and if you don’t get this regularly, be sure to pay attention to how long you’ve gone without it. Any negative changes in sleep architecture and schedule for two weeks or more is cause for concern! While many unavoidable and relatively easy to manage things can contribute to sleep problems—jet lag, changes in work shift schedule, adjusting to a new home, etc.—sometimes the solution isn’t so clear cut. Being aware of your sleep habits and maintaining good sleep hygiene helps but just this is most likely not enough to cure an underlying medical condition. When the cause or effect or poor sleep can be traced back to a mental disorder, it becomes even more complicated. As we’ve already pointed out in other articles in this series, this is a classic “chicken or the egg” argument. Poor sleep can erode mental health, and poor mental health can make it harder to stick to a normal sleep-wake cycle. With bipolar disorder in particular, sleep disturbances are considered a core symptom of the illness. Changes in sleep may even be warning signs of upcoming bipolar episodes. Previously known as manic depression, bipolar disorder is marked by both periods of mania and periods of depression. It is important to note that these manic and depressive periods are not equal to simply being happy or sad. Feeling emotions is part of being human. It is when emotions overwhelmingly take over your life and prevent you from functioning normally—when you may be thought of as “not acting like yourself” for periods of time—that you should seek a professional diagnosis. 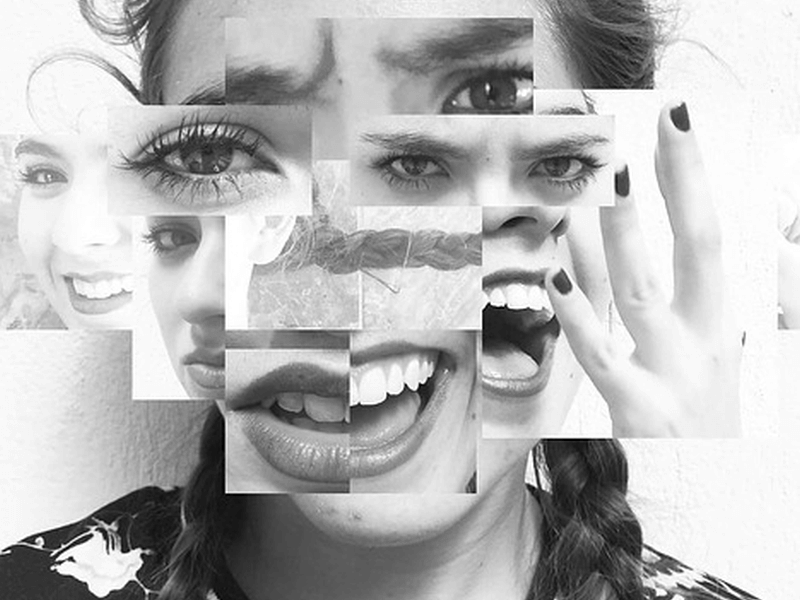 During a manic phase, someone suffering from bipolar disorder will feel or appear to be unusually happy and energetic; verging on brash and irritable. Decision-making may also be affected, as during this time there may be little to no consideration put into actions and corresponding consequences. On top of racing thoughts and reckless multitasking is a dangerous propensity for risky behavior. Milder forms of this phase—called hypomania—may be difficult to spot, and can sometimes just appear everyone but people very close to the person in question to be an odd boost in creativity or productivity. This is usually followed by a depressive phase, which is marked by many of the symptoms of the related mental disorder: unshakable sadness, listlessness, loss of interest in everything, and even thoughts of death or suicide. If you are suffering from overwhelming hopelessness and thoughts of self-harm, please do talk to a loved one or call your local suicide hotline to get help right away. Because of the stress put on the body and mind by the two extremes of mania and depression—as well as difficulties in detecting and correctly diagnosing the disorder—the risk of substance abuse, self-harm and suicide is comparatively high among those suffering from bipolar disorder. Comorbid conditions—such as ADHD, anxiety disorders or sleep problems—are also more common. Before we answer this question, a side note: We’ve actually already tackled depression and how it affects sleep in a previous article, if you are interested in learning about that. Now: bipolar disorder vs. depression. Note that we are talking about depression as a fully realized mental illness—examples are Dysthymia, Major Depressive Disorder (MDD) and Seasonal Affective Disorder (SAD)—as opposed to the depressive phases that are part and parcel of bipolar disorder. Both are mood and mental disorders; and they do share many symptoms. In fact, without proper and detailed information from a patient, a mental healthcare professional may confuse one for the other—resulting in a misdiagnosis and incorrect treatment. But at the very heart of it, bipolar disorder is all about extreme mood swings; that is, the greatest of highs but also the lowest of lows. People suffering from depression may have some days that are better compared to the usual, but the difference is rarely felt as a 180 degree turn. This is not to say that bipolar disorder sufferers do not get as depressed as those suffering from depression. A bipolar disorder depressive phase can last anywhere from hours to months. There are also cases of bipolar disorder that can have a person experience symptoms of both manic and depressive phases at certain points in time! Bipolar disorder is also rarer than depression. It affects over 5 million American adults, yes; but depression affects somewhere around 15 million. How Does Bipolar Disorder Affect Sleep? We mentioned earlier that sleep disturbances can be significant indicators of bipolar disorder, but you may be wondering just how they fit into the bipolar cycle of manic and depressive episodes buoyed by periods of calmness. It is often postulated that people with bipolar disorder have a more fragile body clock, and therefore are prone to more problems in sleep architecture and quality. Studies have observed that even between episodes, bipolar disorder sufferers may still get poor rest and deal with a myriad of sleep problems; ranging from an irregular sleep schedule and daytime sleepiness, to more serious issues like sleep-disordered breathing or rapid eye movement (REM) sleep behavior disorders. However, certain sleep problems are typically associated with either mania or depression; giving a sleep schedule affected by bipolar disorder a somewhat roller coaster-like feel, compatible with the extreme mood swings that come with it. Below we’ll look at some particular ways bipolar disorder impacts the way we sleep. It’s been observed that many people with bipolar disorder start to sleep less or not sleep at all in the nights that precede a manic phase. Again, it may it a “chicken or the egg” situation: The lack of sleep may be an early sign that an episode it on its way, or the deprivation of rest could actually be what triggers the mania. There are arguments for both suppositions. During a manic phase, there’s so much energy and excitation that it’s often accompanied by insomnia—someone with bipolar disorder may get by with no sleep for days without feeling very tired. When sleep onset trouble starts, especially without exhaustion or a low feeling, it’s understandably taken as a precursor of mania. But unavoidable sleep deprivation—for example, jet lag—can also trigger manic episodes. While insomnia might continue to trouble a person with bipolar disorder past the manic phase and well into the depressive phase, sometimes the opposite extreme happens: oversleeping, also called hypersomnia. Remember that roller coaster-like feel we mentioned? This point would be the lowest. On the upside, hypersomnia combined with other symptoms of a depressive phase may make it easier to spot and identify undiagnosed cases of bipolar disorder; as it would truly seem like the opposite of a typical manic phase. Also known as delayed sleep-wake phase disorder (DSPD), this sleep disorder is basically the result of chronic changes to and interruptions in a person’s body clock or circadian rhythm. When a person’s sleep schedule—waking time, peak alertness, sleep onset and duration—does not coincide with societal norms, and a person is forced by responsibilities and other circumstances to conform, delayed sleep phase syndrome results. It’s also been theorized that people with DSPD may have circadian periods that are longer than the usual 24 hours. Relative to bipolar disorder, DSPD may develop due to the regular sleep disturbances that the former is known to cause; also, studies show that a person’s circadian rhythm and its dysfunctions may influence one’s susceptibility to develop bipolar disorder. What does this look like from the outside? A person dealing with this syndrome will probably also display daytime sleepiness, and likely suffer from insomnia or at least some trouble sleeping. Their sleep schedule’s timing will be off: sleeping way past a reasonable bedtime without any good reason, racking up sleep debt that to pay off during lazy weekends, and generally just having inconsistent bedtime habits. If you suspect that you may have bipolar disorder, please to go to a mental healthcare professional and do everything you can to help them make a correct diagnosis. This means being upfront about your daily routines and habits. A meticulously filled out mood and sleep diary will be useful, too, as well as bringing a third party to the appointment. Someone who knows you well may be able to accurately describe your mood changes with less bias, especially if you are suffering from comorbid and possibly undiagnosed conditions that will make detecting bipolar disorder or a similar illness even more difficult that usual—such as anxiety, an eating disorder or even substance abuse you may not want to admit. This mental illness is a lifelong condition, but with correct and fine tuned treatment—often a combination of medication and counseling or therapy, although you may find that as your symptoms progress or shift, you will need different approaches—bipolar disorder can be handled properly. It is important to not self-medicate, though the urge to may be strong, especially if you relapse after a long period of calm. What worked before may not be the best for every situation. However, there is something you can do on your own: Improve sleep and you will often improve mental health. And while we’re not mental health experts by any means, we think we do a pretty good job with helping people get a good night’s rest! Check out the articles on this site for more ways to improve and boost your sleep habits. Following a regular schedule—both when it comes to work and recreational activities and when it comes to sleep hygiene—will go a long way towards managing the symptoms of bipolar disorder and possibly even lessening the extremity or duration of the episodes.